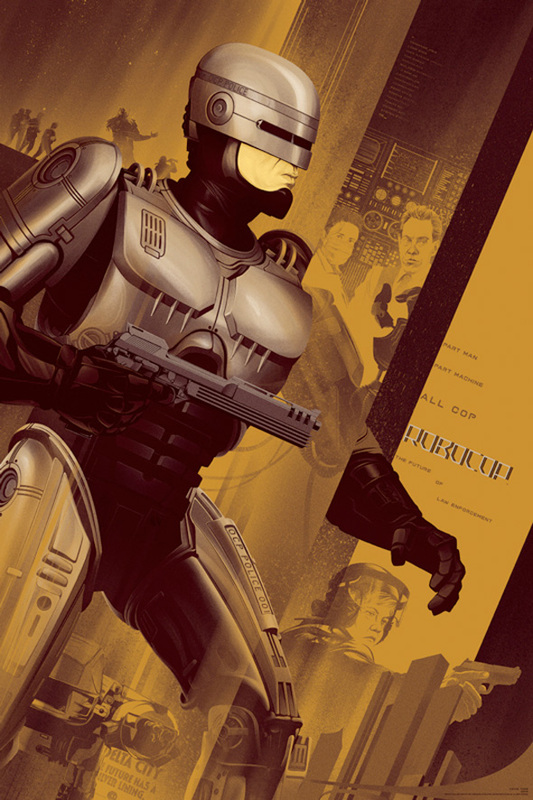 This month Detroit was supposed to unveil their statue of the cyborg crime fighter RoboCop, based on the original version of the character played by Peter Well in the Paul Verhoeven film. However, they were forced to delay the event for some reason, saying, "Please be advised, RoboCop’s Prime Directives have changed and today’s scheduled presentation and statue announcement at the Detroit Police Department has been cancelled." 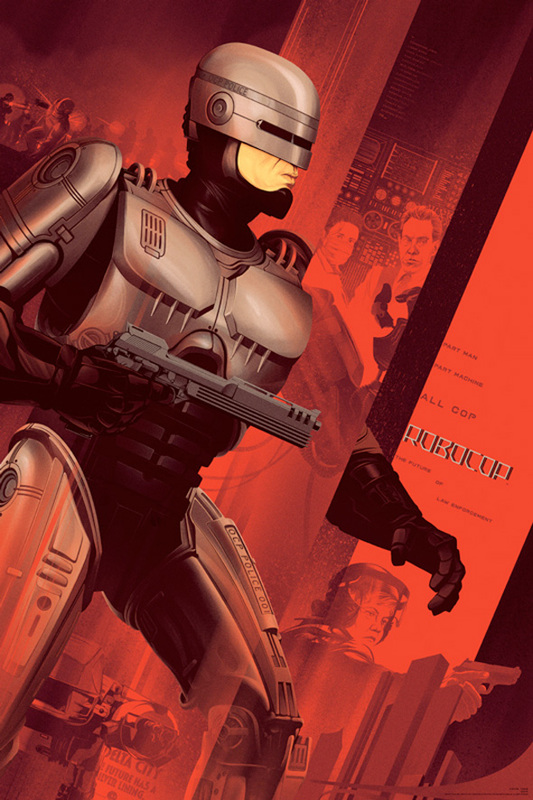 He still threw out the pitch at a baseball game (though it was the remake version), but this month's real tribute to RoboCop comes from two new Mondo pieces from Tom Whalen and Kevin Tong. Tom Whalen's screen print measures 12 x 36 with an edition of 300 and will cost you $45. As for Kevin Tong's pieces, the regular (red) print is an edition of 300 and will cost $45 while the variant (gold) only has an edition of 150 and costs $65. And for those who have some extra money to throw around, Kevin Tong's version will also have a metal variant with an edition of just $35, and that one will cost you $300. All of the above prints go on sale sometime today, along with the Fight Club print by Ken Taylor we premiered, so just stay tuned to @MondoNews to find out exactly when you can get your hands on them. Cool stuff, right?